Jon is originally from Canada, where he trained at the Royal Winnipeg Ballet. 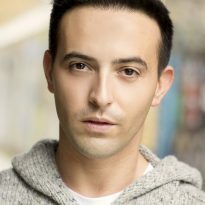 Canadian Credits include: Joseph and the Amazing Technicolour Dreamcoat, Crazy For You, Singing in the Rain, 42nd Street, A Chorus Line and one season at The Stratford Festival, where he performed in The Hunchback of Notre Dame and Gigi. Other theatre credits include: Dance Captain in Dirty Rotten Scoundrels (Savoy Theatre) directed by Jerry Mitchell, A Chorus Line (London Palladium), White Christmas (The Lowry, Salford, Theatre Royal, Plymouth & Mayflower, Southampton), Jesus Christ Superstar (National Arena Tour), Nikos/Padamadan in Legally Blonde (Savoy Theatre) directed by Jerry Mitchell, understudied and played Felicia in Priscilla, Queen of the Desert (Palace Theatre), u/s Legolas and Haldir in The Lord of the Rings (Theatre Royal Drury Lane) directed by Matthew Warchus, My Fair Lady (National Tour) directed by Trevor Nunn, Starlight Express (Germany) and Saturday Night Fever (European Tour). Concerts include: My Fair Lady (BBC Proms/Royal Albert Hall). Workshops include: Feelin’ In The Mood directed by Chet Walker. Most recently: Gremio in Kiss Me, Kate (Welsh National Opera/National Tour).